I've seen a few of those on the bike paths around Ft. Collins. Looks like fun. You're nuts but good luck. I'm pretty sure running is bad for you and I've never liked it anyway (except barefoot on a long, sandy beach). I recommend swimming for low-impact cardio. I tried an elliptical machine; made my hip joints hurt. Be careful on that bad boy as those small wheels are not very good gyroscopes and the thing will drift off a straight line if you aren't paying attention. Congrats! 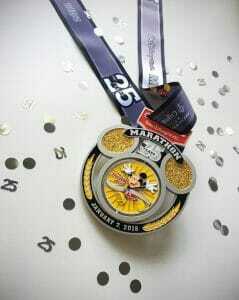 Our family is attempting our first half marathon at the Princess Half at Disney. We were inspired by your posts and sorry to hear that you have to give it up. My knees stop me cycling. Enjoy it while you can. I suggest you stock up on enough Advent Calendars for the rest of the year. Sorry you have to quit running ... good luck in the marathon. "I am considering cutting off the ends of my shoelaces to save weight." Sounds like you could use some help being fitted on a bicycle and might need a try a few different saddles. Zwift, Sufferfest, TrainerRoad, etc. are really changing cycling indoors. It is a very efficient, safe and effective exercise. Sorry about your knees. I had to quit basketball before age 40 and cycling has become a huge part of my life. Have fun at Disney! I found that all my knee problems went away once I started running barefoot on soft surfaces like grass, dirt, and the wet strip of sand at the water's edge. It retrained my gait to that for which evolution designed our knees. Arse pain in bicycles. It's something that goes away with practice. Two things. Cyclist's padded shorts help. As does a good saddle. Something in soft leather which will, over time, mold to you and be very comfortable. Oddly, more minimalist gets better with time. My knees gave out more than a decade ago and but it was tendons that went. Cycling has helped enormously. Using clips so that you are also adding power on the up movement of the foot/leg is also a good idea if you're going to be at all serious about it. 20 to 30 km (I am really not trying to be an athlete) around the country lanes is a lovely way to spend part of an afternoon. I'm curious how the new thing works over time. One of the questions I've had about any exercise equipment is how it causes problems over time. You're really stuck in, doing the same movements over and over. Maybe this is something you'll want to mix in some other low impact things like regular bicycling, swimming and others? It hurts me to death but I'm gonna keep doing it for the agony in it. Two hours ago, I saw a woman "peddling" one of these south on 52nd St, just north of Doubletree Ranch in Paradise Valley. Too add to what Russell said: I was also worried you'd been signed up for a marathon at Disneyland that had been cancelled. Glad to hear it wasn't your race that was cancelled and sorry you will have to find a new sport of choice. The good news about the Disneyworld Marathon is that the biggest hill is going over the overpasses. Otherwise pretty flat. 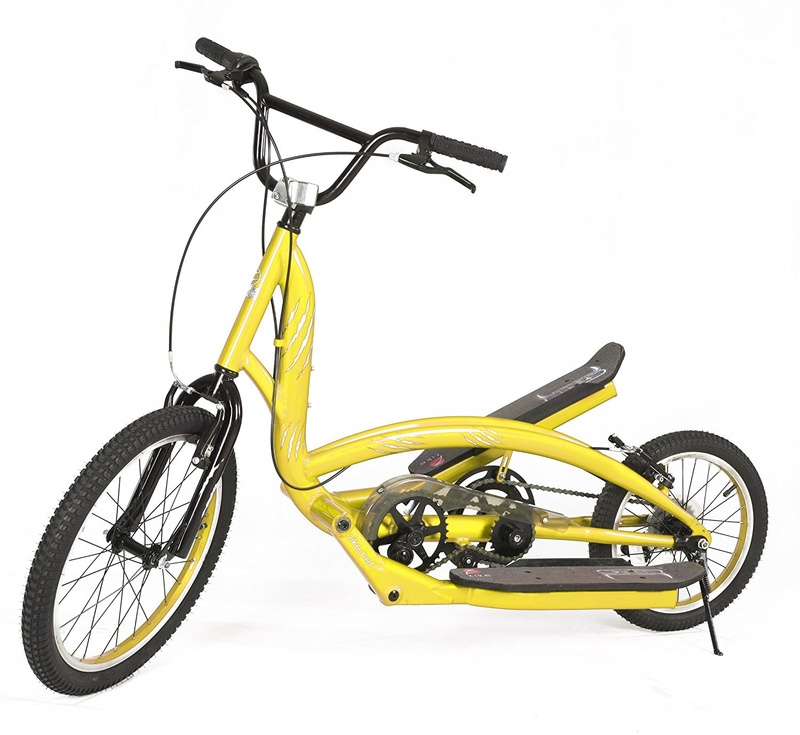 Recumbent bikes and trikes are worth a look especially if you want to go faster and farther than you can possibly go on an eliptical "bike". You'll pay a premium price though, due to low production volumes and much better than entry level components typically used. Look into Prozolone/PRP therapies. There’s a good doc offering these in Scottsdale (Five Seasons Health). Both my wife and I have experienced significant, lasting improvement for knee/hip issues. Excessive vitamin D can do a lot of harm. How much is "excessive" is controversial. 4,000 IU a day is probably safe, and what I take when I can't get enough sun for my skin to make any significant amount of vit. D. In Michigan, that's most of the year, and it's also every workday. But Warren lives in Arizona and sets his own schedule. He could arrange time in the sun nearly every day, and his skin would make vit D until it reaches whatever his body considers the ideal level. If you think 4000 IU is probably safe then it is not safe. The probably in front of safe means it is not worth the risk for you. My experience of what I recommended was positive. A transformation in energy levels. No tiredness. No negative effects.